Covered got held up a few more days when it was discovered that all my carefully prepared artwork had been converted to PDF, but in doing so I’d not clicked the “preserve bleed” option, so the printers could not proceed (when printers guillotine books down to finished size, they like a bit of overlap at the outside of the pages otherwise you risk getting white edges to your pictures). As it took me an hour to re-output then five hours to check and upload the files again, it’s a lesson I’ll not forget in a hurry! In the past I’ve used pre-set options so not had to worry about this small but important option. 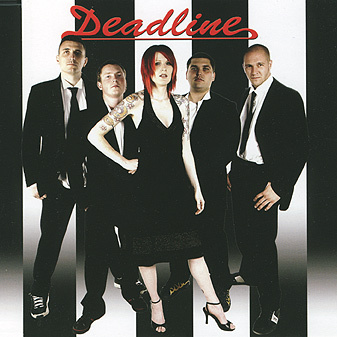 In the meantime, here are Deadline trying to look mean and Parallel Lines era Blondie-like!